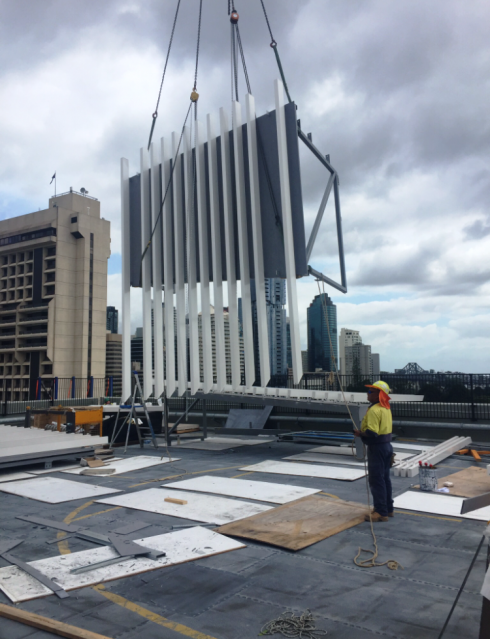 Kane achieved a major milestone at our QUT S Block OJW Room Refurbishment project in the days before Christmas with the final pieces of the prefabricated structural steel roof lifted into place. Once completed, the refurbished area will be used as a luxury seminar space and entertainment area. The addition of a roof to both of the Level 12 terraces will provide added space for functions and seminars to be held. Kane undertook the structural steel component of the roof as a design and construct element due to buildability issues with the original stick build design. 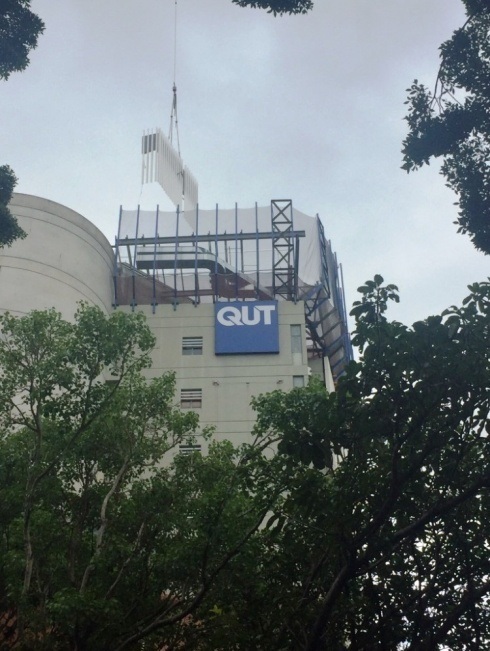 Due to a lack of space at ground level and being a high traffic campus, the cladding of the structural elements was completed on the Level 13 roof. 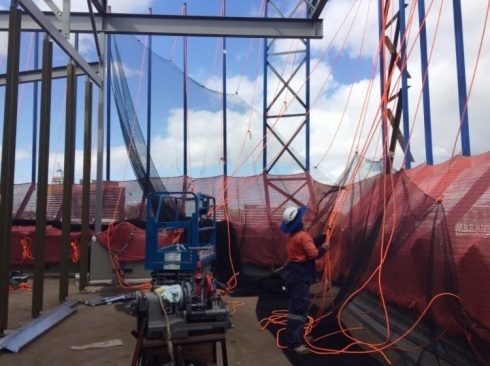 The sequencing of works involved the erection of a bespoke netting safety system to both terrace perimeters. Once the net was erected the offsite steel trusses were lifted to the roof where they were clad with fibre cement sheeting and aluminium feature battens. Once cladding was complete, they were lifted from the roof into their final position completing the roof steel. There were significant safety benefits with this methodology as all works were completed from within the terrace area as opposed to the traditional design which would have involved placing workers outside the building line. There have also been added programme efficiencies with this innovative sequencing of works.